Speedboard Assembly Services, a leading Contract Electronics Manufacturer (CEM), is demonstrating its commitment to quality in upholding IPC standards, by investing even further in IPC training for production staff. This is part of the organisation’s dedication to improving workmanship at all levels, as well as providing customers with the guarantee that Speedboard’s employees possess the skills needed to manufacture the most demanding of assemblies efficiently. 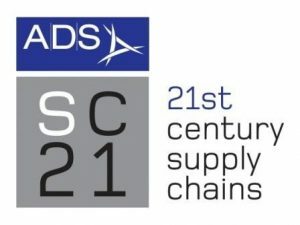 Continuing on the quality focus, Speedboard has renewed its sign up to SC21, the supply chain improvement programme developed and managed by the trade organisation ADS for companies operating in the aerospace, defence, security and space industries; but which has the potential to make companies operating in all industry sectors more efficient and competitive. The programme enables Speedboard to demonstrate and be recognised for the quality of its services plus its ability to meet delivery dates. Signing up to SC21 is part of Speedboard’s commitment to achieving high performance in both business and manufacturing excellence, and to becoming a leaner, more efficient and responsive organisation, transforming the company from being just a CEM to an embedded manufacturing partner for each of our customers. Speedboard was recently certified to the new ISO 9001:2015 standard. An independent assessment was conducted by the leading certification body BSI (British Standards Institution) and the auditor’s report flagged no non-conformity issues and described Speedboard’s quality management system as ‘outstanding’. This clear focus on all things quality related, endorses the company’s ongoing commitment to ensuring that quality underpins everything Speedboard do.